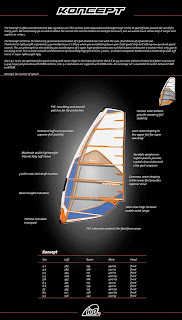 Below are the spec sheets for the RRD X-Fire V6 courtesy of the guys from seabreeze. 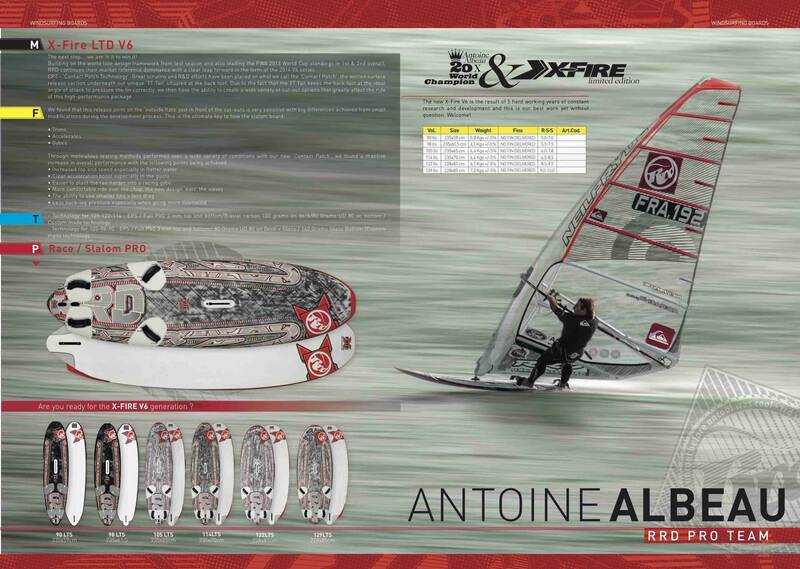 A lot of marketing on that sheet IE "Toro Tail" / Trim Tail but what I will say is it seems like the RRD guys got it right with the V5 as the Antoine and Julian got 1st/3rd respectively for the PWA Slalom rankings. At my home spot you didn't really see or hear about RRD until Antoine switched to them last year. Currently I believe there are only 2 guys with RRDs, Lorenzo with his FireMove and Raviv with his FireRide. 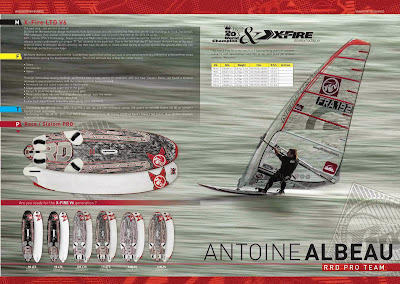 If I were to get an RRD it would probably be the X-fire but it wouldn't be my top choice though as I don't like the cut outs. The 90L doesn't seem to have any but for me I still feel its too wide. For slalom I'm sure it does well but for my sailing style I'd prefer a 95l to be 55 wide at most so maybe 50-52ish for anything smaller. Lorenzo has told me he would like to get the X-fire but I asked him whether or not he would really benefit from getting one (his gybing is a bit off still). We will see though what he does! Maybe I'll even be able to write a review on it! NOW to the really important stuff: Specifications of the new 2014 KA Koncepts and KA Race. As mentioned in a previous post, I ordered a Koncept in 5.4 and 6.6 for 2014. I currently don't have plans to upgrade the 7.5 (2013) to 2014 but that could change. According to Jurg, the sails should arrive in February. 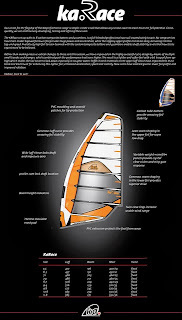 For 2014, my sail quiver will only have Koncepts in sizes of 5.0/5.4/5.8/6.6/7.5. Definitely excited for the 2014 season!